At Daoud’s Fine Jewelry, we are proud to offer our clients an exquisite and extensive selection of pre-owned luxury watches. Within our robust inventory, you will discover pre-owned Rolex, Cartier, Patek Philippe, Chopard, Breitling and other exclusive brands. Each pre-owned watch that we offer is carefully inspected and authenticated. Then, each watch is repaired and restored by our highly-trained team of luxury watch repair experts, so that each selection is offered in like-new condition. Daoud’s also presents pre-owned watches for both men and women. We also offer a large selection of new Timepieces for Philip Stein and Kingsley. The most obvious benefit of purchasing a pre-owned luxury watch is the incredible savings that can be enjoyed. A pre-owned timepiece can offer savings well above 50%, when compared to retail. In this manner, you can choose to pocket the extra savings or you can purchase a luxury model that would otherwise be beyond your means. In addition, purchasing a watch from a pre-owned timepiece specialist can provide you with a more extensive selection. This can include limited edition watches and models that have long been discontinued. These are items that you would never find in an authorized retail store that only sells new watches. So whether you’re interested in a pre-owned Rolex or wish to purchase a Patek Philippe, you will find precisely what you’re looking for at Daoud’s extensive pre-owned watch collection. Rolex - Alfred Davis and his brother-in-law Hans Wilsdorf founded Wilsdorf and Davis, the company that would eventually become Rolex SA, in London, England in 1905. Wilsdorf and Davis' main commercial activity at the time involved importing Hermann Aegler's Swiss movements to England and placing them in watch cases made by Dennison and others. These early wristwatches were sold to many jewelers, who then put their own names on the dial. The earliest watches from Wilsdorf and Davis were usually hallmarked "W&D" inside the caseback. In 1908 Wilsdorf registered the trademark "Rolex" and opened an office in La Chaux-de-Fonds, Switzerland. The company name "Rolex" was registered on 15 November 1915. As of 2017 Rolex watches continue to have a reputation as status symbols. 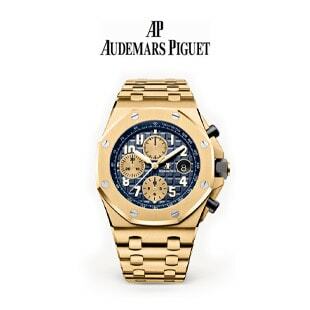 Audemars Piguet - Also known as AP, is a Swiss manufacturer of luxury mechanical watches. The company was founded by Jules Louis Audemars and Edward Auguste Piguet in the Vallée de Joux in 1875. The company has been family owned since its founding. One of their first achievements was creating the first repeater wristwatch in 1892. They are known mostly for the Royal Oak but make several other notable models. The current lineup of models includes the Royal Oak, Royal Oak concept, Royal Oak Offshore, Millenary, Jules Audemars, Haute Joaillerie, and Classique Breguet. 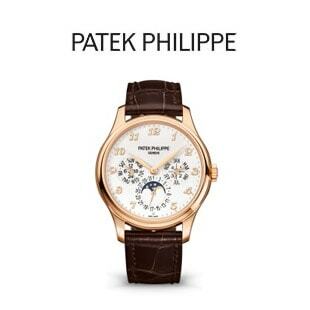 Every minute of everyday, the watchmakers of Patek Philippe relentlessly pursue a goal that has inspired Patek Philippe for well over a century and a half. The perfect watch. Collections include the Calatrava, named after the ornate cross that is in the company's symbol and the Aquanaut, a combination of contemporary styling and materials, which is resistant both to hard use and deep-water pressures. The first true Cartier watch, the Santos, designed by Louis Cartier and named for Alberto Santos-Dumont, a dashing Brazilian aviator, was introduced in 1904. In 1917, the House of Cartier introduced the famous Cartier Tank watch. Long regarded as the single most important and influential watch design of the 20th century, the distinctive Cartier Tank watches were designed in tribute to the Allied Tank commanders who helped defend France during World War I. 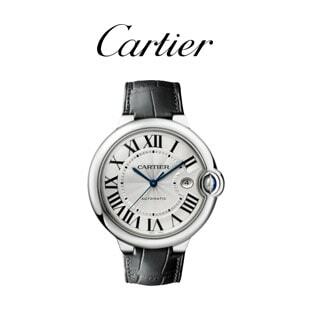 In 1933, Cartier was commissioned by the Pasha of Marrakech to create a watch he could wear while swimming. As one of the earliest truly water-resistant designs, the Cartier Pasha watch featured an attractive round case of solid gold. Today, the Cartier watch designers draw on the astounding design archives left by Louis Cartier, the design genius responsible for many of the house's signature innovations, patents and collections. Most of the contemporary Cartier collections are based upon Louis distinctive design classics such as the Santos, the Panther, the Bagnoire, the Pasha, the Tonneau, the Diabolo, and the Tank. Chopard- Chopard is a Swiss watchmaker and jewellery maker founded in 1860 in Sonvilier by Louis-Ulysse Chopard, originally known for making ladies watches and pocket watches. 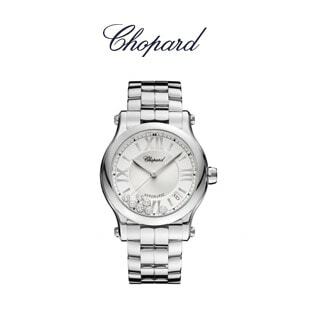 In 1963, Chopard was sold to Karl Scheufele, a watchmaker from Pforzheim, Germany. The Scheufele family have owned the company up to the present day. The company is headquartered in Geneva and has a site in Fleurier, Canton of Neuchâtel that manufactures watch movements. Hublot Hublot is a Swiss luxury watchmaker founded in 1980 by Italian Carlo Crocco. The company currently operates as a wholly owned subsidiary of France's LVMH. In 1980, it also marked the birth of the Fusion concept a few months after being founded. A scion of the Italian Binda Group dynasty, best known for making Breil watches, Carlo Crocco left the company in 1976 to strike out on his own and create a new watch company. Moving to Switzerland he formed MDM Geneve and set about designing a watch that he named the Hublot after the French word for "porthole". The watch that he created featured the first natural rubber strap in the history of watchmaking. It took 3 years of research to create the strap. Despite failing toattract a single potential customer on the first day of its debut at the 1980 Basel Watch Fair, the watch quickly proved to be a commercial success with sales in excess of $2m in its first year. combining Swiss craftsmanship with the modern engineering technology from the U.S. to manufacture watch movements and other watch parts for the American market. At the time, wages in Switzerland were relatively low although there was a ready supply of skilled watchmaking labor, mainly carried out by people in their homes. Jones encountered opposition to his plans in French-speaking Switzerland because Jones wanted to open a factory. In 1850 the town of Schaffhausen was in danger of being left behind in the Industrial Age. At this stage, watch manufacturer and industrialist Johann Heinrich Moser built Schaffhausen first hydroelectric plant and laid the cornerstone for future industrialization. He probably met F.A. Jones in Le Locle and showed great interest in his plans. Together, they laid the foundations for the only watch manufacturers in north-eastern Switzerland: The nternational Watch Company in Schaffhausen. 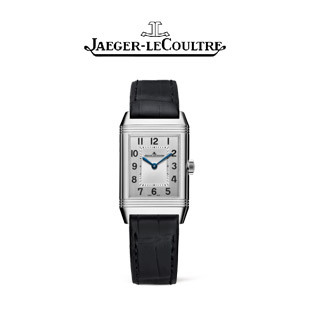 Jaeger- Lecoultre- is a Swiss luxury watch and clock manufacturer founded by Antoine LeCoultre in 1833 and based in Le Sentier, Switzerland. The brand has hundreds of inventions and over a thousand calibres (movements) to its name, including the world’s smallest calibre, one of the world’s most complicated wristwatches and a timepiece of near-perpetual movement. The company has been a fully owned subsidiary of the Swiss luxury group Richemont since 2000. As a young adult Kingsley went on to study industrial design at the prestigious Rhode Island School of Design. For the next 15 years he developed a passion for inventing and designing bullet shaped Writing Instruments, machined jewelery & accesories for iconic american brands such as A.T. Cross Company including notable brand licensing projects for luxury italian automaker such as Escuderia Ferrari and many other high profile american & european brands. 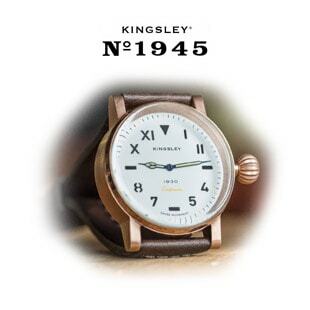 One day Kingsley woke up from a dream about creating a wrist watch made by reclaiming all the vintage 1940’s and WW2-era military parts he had been collecting his entire life. its combat units, as did the U.S. Army in 1918. Omega watches were the choice of NASA and the first watch on the Moon in 1969. 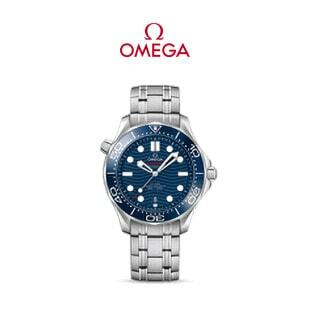 Omega has been the official timekeeping device of the Olympic Games since 1932. James Bond has worn it in films since 1995; other famous Omega wearers, past and present, include Elvis Presley, John F. Kennedy, Prince William, George Clooney and Buzz Aldrin. 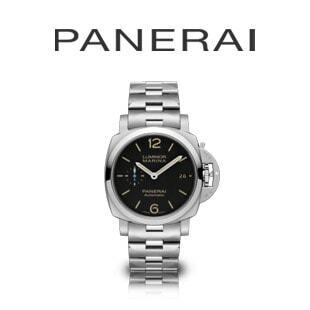 When it took over Officine Panerai in 1997, the Vendôme Group (today Richemont) inherited an important historical legacy from the Florentine company. To prevent it from being lost, all the historical items found so far and especially those recovered from the firm and the family have been collected together and catalogued. This material is the foundation of the Panerai Historical Archive, a fascinating historical collection that begins in the mid-1800s and continues right up to the present day. The collection includes watches, compasses, depth gauges, torches and patent documents as well as tools of the watchmaker's art, photographs and documents that bear witness to the work of the Panerai family from the very first watchmaker's workshop opened in Florence in around 1860. The Historical Archive, today housed in part in the Historical Boutique in Piazza San Giovanni in Florence, illustrates how Officine Panerai, thanks to its patents and the high degree of specialization in its precision mechanical work, developed over the course of the years, won the trust of the Italian Navy and became its main supplier of precision instruments, timing and sighting devices for ships and submersible vessels. Quality and precision always to the fore. 1884: Leon Breitling opens a workshop which specializes in chronographs and precision counters for scientific and industrial purposes. 1914: After Leon's death, the business passes to his son, Gaston Breitling. 1915: Gaston Breitling creates the first wristwatch chronograph. 1923: Gaston Breitling develops the first chronograph pushpiece. 1932: Gaston passes away and his son, Willy, takes over the helm of Breitling watches. 1936: Breitling becomes the official supplier to the Royal Swiss Air Force. 1942: The Breitling Chronomat is introduced. It is the first chronograph with a circular slide rule. 1969: The advent of the self-winding watch. As you can see, Breitling is the epitome of precision timepieces, continuing its long and illustrious career as the top name in chronograph instrumentation for professionals. 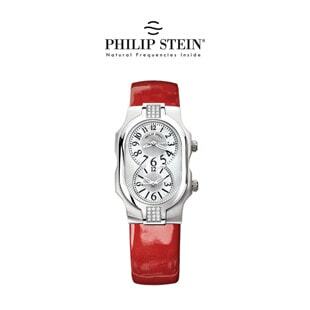 Founded in 2002, the Philip Stein Company has brought an innovative outlook to the world of luxury products. By integrating Frequency Technology in the company’s extensive collection of watches, Philip Stein has successfully combined the principles of overall wellbeing with a distinctive watch design. The story of Philip Stein begins with owners Will and Rina Stein. Will, a marketing expert with broad business experience, and Rina, a watch designer, combined their knowledge and skills to develop the iconic brand. Drawing on Rina’s 28 years of experience in the watch business, Will’s extensive marketing background and their newly acquired knowledge that natural frequencies had the power to improve one’s overall wellbeing, the couple set out to developed a watch that promoted health and had an unrivaled appearance, featuring a dual time zone and interchangeable straps. When the watch first became available in 2002, it marked the first time in history that frequency-based technology had been incorporated in a luxury watch brand. The Natural Frequency Technology in Philip Stein watches are key frequencies beneficial to life and health. The frequencies embedded in Philip Stein watches provide information to the biofield that makes the person wearing a Philip Stein watch more resilient and adaptable to stress. Within a year of the official launch of Philip Stein watches, the company was overwhelmed by testimonials – better sleep, less tension, improved concentration and improved overall wellbeing. But perhaps the most important endorsement came in 2003 when media giant Oprah Winfrey featured the watch on her “Oprah’s Favorite Things” show. It wasn’t just the Frequency Technology that was earning rave reviews from Philip Stein customers; it was the distinctive features of the watch. From the dual time zone dial to the window in back offering a glimpse of the company’s Frequency Technology, and the interchangeable watch straps, Will and Rina Stein had accomplished what they set out to create – an iconic watch. Today, Philip Stein watches are sold in 25 countries around the world. The product line has expanded to include a wide range of styles. And, the company has taken its technology one step further, to include lifestyle accessories, including the Philip Stein Wine Wand. The wand uses a mix of natural frequencies to accelerate the “breathing” process of wine, making it ready to drink in minutes. As the Philip Stein Company continues its research into this life-changing technology, Will and Rina remain eager and committed to developing products that will enhance people’s quality of life. Tradition Movement Exceptions Audacity Jet-Set Piaget spells a multitude of colors, of juxtaposed opposites, and the interplay of duality. It successfully mingles roots and openness, technology and aesthetics, functionality and style, watch making and jewelry, the tranquility of the jura mountain region and a resolutely cosmopolitan dimension. 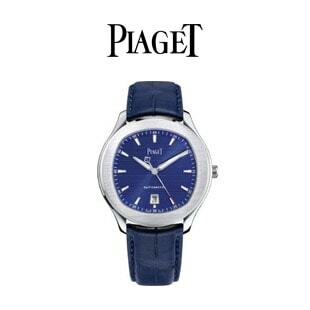 This has been a source of strength and daily reality for the first 130 years of the House of Piaget. And will remain so in those to come. Breguet is a Swatch-owned brand of luxury watches founded by Abraham-Louis Breguet in Paris in 1775. The brand, along with Vacheron Constantin, is one of the oldest surviving watchmaking brands and a pioneer of numerous watchmaking technologies, such as the tourbillon, which was invented by Abraham-Louis Breguet. 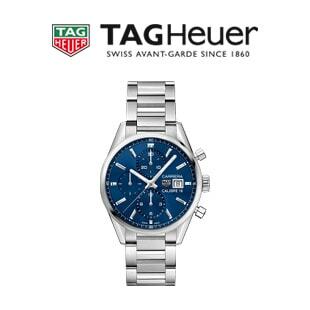 Tag heuer - is a Swiss luxury manufacturing company that designs, manufactures and markets watches and fashion accessories, as well as eyewear and mobile phones manufactured under license by other companies and carrying the Tag Heuer brand name. In 1911, Heuer received a patent for the "Time of Trip", the first dashboard chronograph. Designed for use in automobiles and aircraft, two large hands mounted from the center pinion indicate the time of day, as on a traditional clock. A small pair of hands, mounted at the top of the dial (12 o'clock position) indicates the duration of the trip (up to 12 hours). A top-mounted crown allows the user to set the time; a button mounted in that crown operates the start/stop/reset functions of the "duration of trip" counter. Heuer introduced its first wrist chronograph in 1914. The crown was at the 12 o'clock position, as these first wrist chronographs were adapted from pocket chronographs. In 1916 Edward Heuer's son, Charles-Auguste introduced the "Mikrograph", the first stopwatch accurate to 1/100 of a second. This model was soon followed by the "Semikrograph", a stopwatch that offered 1/50 of a second timing, as well as a split-second function (which allows the user to determine the interval between two contestants or events). 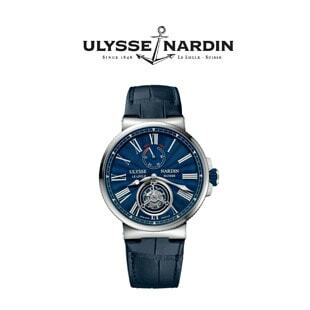 Today, Ulysse Nardin continues to develop and produce specialized timepieces of the highest technical level in limited editions. Using the company patented inventions; these often include complications offered by no other watchmaker, such as the renowned Trilogy of Astrolabium, Planetarium and Tellurium; the Jaquemart Minute Repeater and the Hour Striker San Marco. 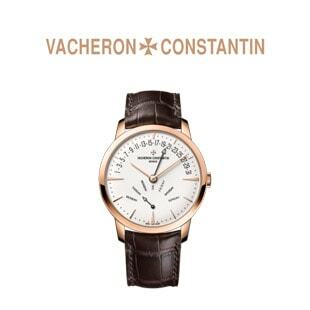 Vacheron constantin- is a luxury Swiss manufacture of prestige watches and a brand of the Richemont group. It employs around 1,100 people worldwide, most of whom are based in the manufacturing plants in Geneva and Vallée de Joux. 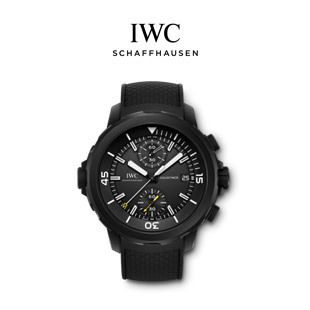 It is an active member of the Federation of the Swiss Watch Industry FH. Past owners of Vacheron Constantin watches include Napoleon Bonaparte, Pope Pius XI, Edward VIII, Harry Truman, and Gustaf Mannerheim. The Vacheron Constantin pocket watch Ref. 57260 (1929), which was owned by King Fouad I of Eygpt, ranks as one of the most expensive watches ever sold at auction, reaching a final price of 2.77 million US dollars (3,306,250 CHF) in Geneva on April 03, 2005. In 1946, Vacheron Constantin made another Ref. 57260 for King Farouk, the successor of King Fouad I. In 2015, Vacheron Constantain introduced a new Reference 57260, which currently holds the title of the most complicated mechanical watch ever made in the world, with 57 complications. 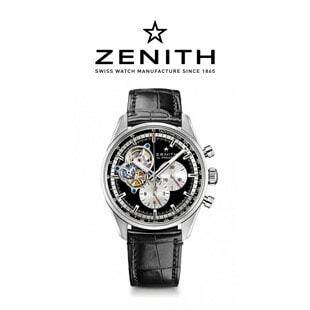 Zenith SA is a Swiss luxury watchmaker. The company was started in 1865 by Georges Favre-Jacot at the age of 22, in Le Locle in the canton of Neuchâtel. Zenith was purchased by LVMH in November 1999, becoming one of several brands in its watch and jewellery division which includes TAG Heuer and Hublot. Julien Tornare is the current CEO after Jean-Claude Biver (Interim CEO) in 2017, replacing CEO Aldo Magada, who had replaced Jean-Frédéric Dufour in 2014. Zenith is one of the Swiss watch manufacturers that still produce their own movements in-house.